Web designers face many challenges while building a new website or re-designing an existing one, such as maintaining a client happy, creating a new site that gets results and generating users at the same time. During the design and development process, many time designers get distracted from importance of usability. For building a really usable website, designer must perform the correct kind of priorities and testing. 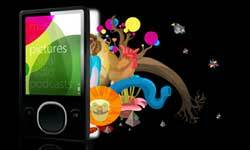 Website usability can easily wrap up if designer if only focused on great-looking website or effective monetization. Hence site must include efforts such as throughout the design and development process, make your opinion about the strength and weakness of the site through first-time visitor point of view. In order to improve the usability of your website, spotlight on specific aspects that will affect the users most, and make confirm that the site stands up in these aspects. 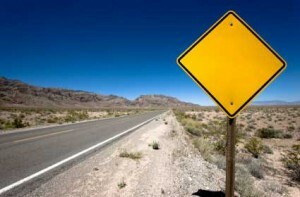 Here is a look at following signs to consider. Navigation is the most important part of website usability. Visitors are unlikely to discover content they want and they’re more likely to depart quickly without really getting to know more about the website or the company; if the navigation is not clear and easy. Clear navigation will make it simple for visitors to scan throughout the site. The navigation approach is totally depends upon the type of site. For stance, blog is likely have a navigation element that is not similar to any other type of website; while e-commerce website has a navigation that focused on helping visitors to find the right product/service. But all of these come under the website usability. Hence right navigation approach is a big part of subject. If your site has performing a poor job of interacting the products or services provided, visitor will quickly leave it if they can’t find something that is understandable. Therefore, one of the major factors involved with website usability is communication with user. There is so much that is concerned in communication online. 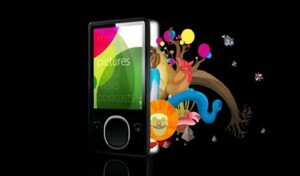 Images, headings, taglines, colors, design approach, they all interact with visitors. A successful and usable website clearly conveys its message to visitors, and ideally that message should be consistent within entire website. The actual content of the website is often neglected while considering usability, but it will have a strong impact (whether good or bad) on the experience of visitors. An effective website will have a specific targeted audience, and content that is provided to suit the need of this audience. Whether the content consists of blog posts, products for sale, service descriptions, tutorials, videos, or any other type of content, it should be created with keeping the audience in mind. A website with content that is unfocused on a particular audience will lack an intention and will be of little or no value to visitors. Always remember that visitors are coming to your website to get something of interest to them. Hopefully, many of the visitors have a similar interest, which makes it quite simple to provide the right kind of content. You just have to keep the need of targeted audience in mind. Every website has some people that love the design and others that hate it. There is no such a design having only positive interest of people, but it supposed to be suited to fit the interests of the targeted audience. No two visitors will ever have exactly the same opinion on approach of design, although they both have similar interests. The website design style should always be influenced by the targeted audience. For instance, grungy styles for extreme sports and for rock bands as these are frequently visited by young generation that will appreciate the grunge style. Yet, it will not be effective style for retirement plans website. The look and feel of a website will have a direct impact on visitors. Style of design makes them feel comfortable about website. A user-focused website does not include any type of obstruction such as flashy or annoying advertisements, pop-up or pop-under, or anything that can affect the ability of the user to read and communicate with the website/blog. Off course, some of these items are effectively and cleverly used within many websites, but they help to accomplish the goals (such as monetizing) of the webmaster not the purpose of improving the user experience. So, use the best of your judgment, but be aware that any type of interference can damage the user experience and interactivity. Whatever the reason may be, some visitors will want to contact you, and the ease with which they can do so will have a strong positive impact on their experience on the site. Not being able to find a way to contact the webmaster can be awful for user, and it makes a point clear that their feedback is not a concern. Including contact form link on main navigation bar or footer is a good practice. User experience is heavily impacted by the readability of website’s content, particularly for blogs. If two different websites having same exact content/service, but one is set-up well for readability and the other one is not, then there will be an enormous difference between the two for visitors. Not every visitor has interest in reading each word of content of page, but many have. You can make readability easier for visitors by using whitespace, bold text, headers and sub-headers, lists, typography etc. A truly user focused website always have first priority to what user want and what he need. This means that owner will be secondary. Obliviously, it is necessary if you want to achieve the purpose for which website is built (such as selling products, providing tutorials, etc). Design approach should be such as it was created around meet the needs of user and allow the product or service to be part of that solution. Although a designer creates a site that fulfills all the requirements of visitors, some visitors will have questions or issues during their time on site. A user focused website should include easily address of such queries. This will defiantly improve user experience about site. If you see more number of questions about similar questions through a contact form, the problem is really exist. Eliminate that issue and make the site more user-friendly. 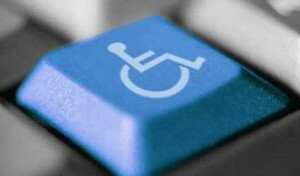 Accessibility is another major factor that should consider in user-focused websites. If a visitor is unable to access the site, then it is clear sign of lack of user-focused. Build a site that is easily accessible to targeted audience. 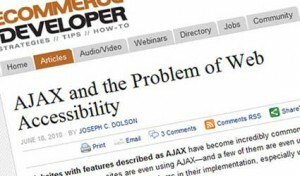 Although accessibility is such a gigantic issue that can not be covered in single blog post, it is very important in the context of user focus. What is your outlook on the subject of user focused website? And as a web designer, what are your goals for creating a site that meets all requirements of user? Let us know.